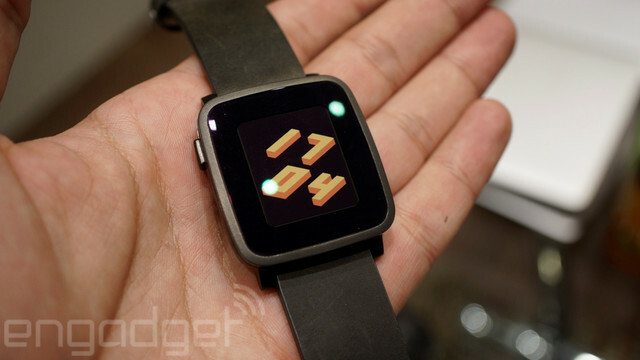 Of the 57,000 Pebble Time rewards due to backers, 55,000 have been shipped. The great majority of rewards that haven’t shipped are from backers who have not completed their delivery and payment selections in the Kickstarter Reward Portal. If you are a Pebble Time backer and have not received a tracking number for your shipment, please check your Kickstarter Reward portal to make sure everything has been finalized properly. For direct assistance, email us at order@getpebble.com. Help us get Pebble Time to your wrist, where it belongs! Shipments to the first Pebble Time Steel backers will begin the last week of July. Backers at the end of the Time Steel line should receive tracking numbers by the end of August. Pebble Time Steel rewards ship as soon as our distribution centers around the world receive watches from the factory and process them for final delivery. The delivery timeframe for Pebble Time Steel rewards is a little off from the original estimate we shared during the campaign, but we’ll get everything shipped as fast as possible. The steps involved in a Pebble Time Steel’s journey from factory to wrist are outlined below. If you’re curious about the process, check it out! Pebble Time Steel rewards come with both a leather band and a matching steel band. When Time Steel arrives at retail, the metal band will be sold as a separate accessory. Due to reduced initial availability from our supplier, we’ll include the metal bands in a single shipment for every backer possible, and send metal bands in a separate shipment for the remaining backers, as more become available. This week, we’ll also start emailing the Pebble Time Steel backers who are in the front of the delivery line, asking to finalize the details in your Kickstarter Reward Portal. You’ll want to review your selected finish (Gunmetal Black, Brushed Silver, or Gold), delivery address, shipping speed, and finalize payment for any balance owed. If the details in your Reward Portal are complete and correct, no action is needed. Reminders to finalize reward selections for Pebble Time Steel will be sent on a rolling basis, as watches in production get assigned to backers waiting in line. When your reward portal is locked, we’ll charge your selected payment card for any expedited shipping, duties, or taxes. If this applies to your reward, please make sure your payment method is up-to-date. Pebble Time Steel watches are grouped into batches of master cartons after production, and sent to distribution centers in the United States, Hong Kong, Australia, Canada, and Ireland. Due to the various steps and paperwork involved in this step, it can take up to 10 days for a Pebble Time Steel to make the journey from factory to distribution center. US Pebble Time rewards will ship via USPS. Standard non-US shipments will ship to destination countries via Singpost. Expedited non-US shipments will travel via the courier listed in your Reward Portal. How Do I Follow My Pebble Time Steel’s Progress? You will be able to track the progress of your Pebble Time as it moves with its batch through the Building, Processing, and Shipping steps on the reward portal. Refer to the tracking number email you receive for specific instructions on how to follow your parcel along the way. Directions differ by region and selected shipping method. With rewards landing on backers’ wrists, our software team was hard at work releasing the first big updates to the Pebble Time operating system and iPhone app. Version 3.1 of the Pebble Time firmware includes improvements to the Alarm app, Do Not Disturb Settings, and timeline. Version 3.1 of Pebble Time Watch for iPhone is available on the iTunes App Store and has improvements to Calendar, Weather, and timeline. Full release notes can be found on our blog. Those with a Pebble Time in-hand who haven’t already updated their firmware may do so manually by selecting Menu » Support » Update Your Pebble from the iOS or Android smartphone app. The latest Pebble Time iPhone app may be downloaded from iTunes. Those with Pebble and Pebble Steel have been eager to see support for the timeline interface and other Pebble Time-related features on their watches as well. We’re committed to making sure all Pebble watches—both our newest offerings and legacy ones—get better with time. Our goal is to update Pebble and Pebble Steel to the latest version of the operating system, including timeline and unlimited apps later this year. While we don’t have an exact timeframe to share yet, rest assured that it’s a leading priority for the software team. As always, we’ll share new developments as they happen. Since launching ESPN for Pebble last summer, fans all over the world have been staying connected to their favorite sports and games, right from their wrists. This Wednesday, July 15, we’ll be joining our friends at ESPN for one of their biggest events: The ESPYs. The ESPYs recognizes the year’s memorable sports milestones, honors the athletes who made us cheer, and supports The V Foundation for Cancer Research. The team will be on the ground in LA showcasing ESPN, activity tracking, and amazing Pebble apps to athletes and honorees while live-tweeting the coolest moments and giving away Pebble Time prizes to winners online throughout the day. To be a part of it all, follow @Pebble on Twitter. The fun starts at 6:00 PM US Eastern on Wednesday, July 15. Pebble Time is ready to share with the rest of the world. We opened up Pebble Time pre-orders on June 22, exclusively from Best Buy for those in the US and from pebble.com for those who live outside of the US. Ruben Hermelo Gómez, Morgan, and 157 more people like this update. Can Kickstarter Backers get an update on our metal bands? I see a lot of marketing activity and promotion for the general public but no word on the status of the bands as part of the project backers. I even noticed Pebble Time's on Woot's site today for less than what backers paid so soon after. umm..... Where is my metal band? Very disappointed that Pebble is taking like forever to deliver the steel band to Kickstarter Backers! 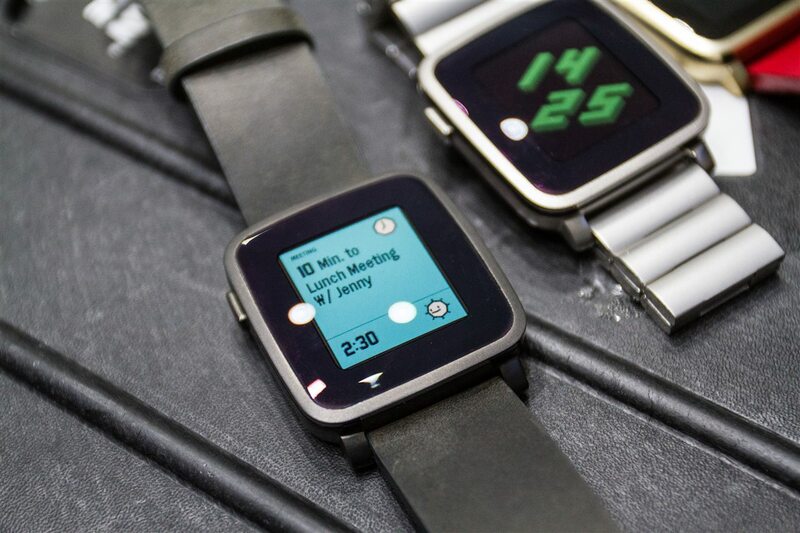 It seems that Pebble is giving more priority to develop & market its PT Round. I'm also waiting for my gunmetal finished band for my Pebble Steel. It's not good enough as I have not been advised and the metal bands are showing with the new round model. so I get an email bragging about the metal bands for the PEBBLE TIME ROUND.... meanwhile...WHERE THE HECK is the my metal band for the PEBBLE TIME STEEL I got over a month ago. i feel like the payment for shipping was taken out over a month ago but i have no idea when it is shipping or if its in transit or anything? September 11, 2015, this early backer has not received a tracking number as indicated in your last 24 release. I guess having an early backer number does not matter when you ordered a silver one. Still have no tracking number. It is leaving a bad taste in my mouth for this company. I was actually disappointed in the new Time interface on the new Steel. It seems to perform much slower than my original Steel. What really stands out is the progress bar as if it has to reinstall each app over again when switching between apps. That coupled with it now takes more button presses and time messing with the watch to get the same info. It was so bad I went back to my original Steel after a day and have sold my Time Steel on eBay. Outside of the voice capabilities that I can't use with my iPhone I think they took a step backwards. I purchased the original Pebble and Pebble Steel and was early supporter for Pebble Time Steel. I received my shipping notification on August 20th and since that date no further details. Pebble has my full payment now and yet there have been no further updates. Their contact support link in their email doesn't work, the have not provided an order number for tracking and the lack of updates all smack of a company that has no clue what customer satisfaction is. This will be the last time I support this company and products on Kickstarter. there are a number of decent and lower priced Android watches now on the market that can be purchased directly from the play store and at least there I would get an order number, receipt and a tracking number all within a few minutes. I am going to start sending this forum link to Engadget and Cnet so they can post a stories about how badly pebble has botched the launch of the Time Steel. This has been the most disappointing online purchase I have made in a long time. Hello. I am upset and disappointed by the delay in the sending of the clocks to September. It does not look like to me a correct image for a serious company. Till I have not received the trucking number or some news about clock sending that paid in March. So, should I feel tricked or do you guys have anything to make up with the misleading info. Pebble say: Shipments to the first Pebble Time Steel backers will begin the last week of July. I'm not going to worry about it. Worst case is I don't like it and swap it out with Pebble. They've already said they would do exchanges provided we don't damage it. I've backed over a dozen projects now, and as far as Kickstarters go, this one has gone the smoothest for me. I got my Pebble Time(plastic) on time and they're only a couple weeks late for the steel version. And this is their 13th update since it was funded 4 months ago. That's pretty good if you ask me. @Andy H. extremely well put. Its the lack of communication that I find slightly grating and even more so the lack of production model photos so we can finally decide on colour options before lock-in. I think Andy H has hit the nail squarely on the head, sub-par communication for us Steel (or should that be Steal) backers! I'm with Dave and Christo here when it comes to complaining about time delays - I fully expected it. This isn't just when it comes to Kickstarter either. I placed a pre-order (yes, an actual order on Pebble's website) 2 weeks before the PTs were going to be released to retail. I was promised an actual date of 20th July. On 19th July, Pebble took my money and sent me an e-mail saying my order had been processed and I'd get a shipping number in 2-4 days. On day 4, I contacted the orders e-mail (turned out to be one of their distribution centres for EU) who after some investigation told me orders weren't being sent to them from Pebble and they had raised it, but orders received after 21st July were going through fine - they refunded me, I re-placed the order, and it should be arriving today. Yet still, there's been no official contact from Pebble. Lots of people on Twitter are complaining, and according to some replies from Pebble to the people complaining, the issue has been fixed and they'll be shipping out later this week - almost 2 weeks late - and still no explanation or apology to people who haven't taken to Twitter to complain. Instead lots of people will be e-mailing Pebble saying "where's my order", thus causing more traffic to the already-bogged-down support teams dealing with PT support and running the Kickstarter project. So in summary, I agree, we can't complain about a delay to a Kickstarter project - but Pebble really need to improve their communication to backers and buyers. And THAT is even in Kickstarter's Ts&Cs: "Throughout the process, creators owe their backers a high standard of effort, honest communication, and a dedication to bringing the project to life." Where was Pebble's "honest communication" about the PTS delay and band supply issues? Funny that only came to light 2 weeks before shipping was scheduled to start. @Milton. I copied your post and pasted it to this section. Some people seem to be following the Update Comment Section vs the Main Comment section. Thank you for the original post. Glad to know they will be shipping starting this week. @Rene.. A very valid question but, sadly with no official response from Pebble. Juli is almost gone, when can i expect my pebble steel? i live in the Netherlands. @Stephen..These links were posted on the main comment section. Hope this helps. The first two specifically highlight the black PTS. Great news on the improvements on 3.2, good job Pebble! Things are looking up now. Last thing im worried about is the finish durability on the PTS, hope it wont scratch/markup as easily as the regular PT. Any news on that would be great! @alex. My thoughts precisely. Better to have a finished product than a rushed one. With the slight delay in the delivery of the Pebble Time Steel, pebble has had time to upgrade the firmware so by the time we get our watches they're going to be even more awesome! Pebble has released the 3.2 firmware update that allows for more options with the backlight (intensity & duration), font size and intensity of vibration! Please Please Please post some real photos of the Black and Silver and Gold watches, the finish is so important and I am trying to choose between the black and the gold version. Silver looks much the same on any watch, but black and gold colours vary like crazy, so I think it is reasonable to show the actual product before we have to lock in our choices. Little update on my Pebble that was shipped over a month ago: just discovered they screwed up the addressee (only my first name is apparently mentioned on the package) and it has been returned to sender. This has already been over 3 weeks ago, apparently. Nothing from Pebble so far, except for a very standard reply that I have to wait a bit (even though they probably have had the package returned to them weeks ago). Well said @Christo. And as for being fanboys, aren't all backers fans by the nature of their involvement? I don't know about the others, but all I'm defending is the fact that backing someone on Kickstarter isn't a retail purchase, delays happen and estimated delivery dates aren't promises. The lack of official real world photos is annoying and my only real gripe with the campaign so far. I assume they're just busy trying to sort out non-Steel delivery issues before they worry about the Steel, but if they went into production at the end of last week they should be able to provide some decent photos of the finalized design and materials. There are a number of photos around the place online but official ones would be nice before we finalize our decisions. I'm surprised with the fanboy comments here. The sort of zealot like defending of the indefensible belongs to wearers of the Apple Watch (although I guess the Pebble being somewhat compatible with iPhones means they probably are sheeple). I've been asking for good quality real world images of the PTS in different lighting so I can pick my choice. Nothing from Pebble on this. Also no response to bezelgate, I really don't want to pick a black PTS only to have it look terrible after a little use. The assumption that delays are down to Apple tweaking and fixing issues really doesn't hold true. If this were the case then surely they'd tell us and get some credit for it? Instead, no response to bezelgate, not even to say people are wearing it wrong. The delays have been caused by the production of Pebble Time for retailers. People have a right to be annoyed that Pebble chose to come to Kickstarter rather than get VC funding and then took the money and put us firmly on the back burner. I can't see there being another Pebble Smartwatch after this. Pebble won't sell enough of these to move out of the niche market and as a backer of the first they've not improved with this Kickstarter they've got far worse. At this stage when I get the e-mail to lock down my choices I'll be making my mind up whether I get the watch or ask for my money back. Garmin Vivoactive for £150 seems like a far better deal. Well said @Christo :) I backed the original Pebble and got it 9 months or so after the estimated delivery date. It sucked, plenty of people had a cry about it, but delays happen and they had some pretty significant ones (mainly due to the overwhelming popularity of the watch). At this point there's probably going to be a delay of up to a month for some people for the Steel, it's really not that bad. Pebble should start keeping all the busted up pre-production test units and ship them to people who embarrass themselves whinging on here, because apparently they don't care about the quality of the product, just that they have it on their wrists when it was "promised" to them. @Paul and @Bryan I 3rd that. It is available at Best Buy now too. Stings a little. No you don't @Jamie, you have made a $250 donation to help fund the project, when the project is done you'll receive a reward. They gave an estimate of when it was due to be completed, it's gone a little bit over. It's not a big deal. @Dave Nelson "People like Jamie"? Don't you mean people who want plain answers to simple questions. I may not own the company or have shares in it but I do have $250+ expedited delivery charges invested in it and some answers would be nice, let's see what the next update says. Brian. YOU seem to be blindly missing the point where the founder of Pebble himself states that the pebble time is ALMOST ready. It's in the last 30 seconds of the main campaign page. (That's the video At the top (click it to play)). Let me know if you can't find it.